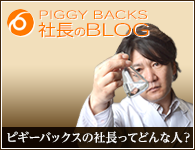 Copyright (c) PIGGY BACKS Co.,Ltd. All rights reserved. Copyrightc PIGGY BACKS Co, Ltd. All Right Reserved.